Did you take a lower-paying job during the recession or have you been toiling at a job that never did pay well? Take steps to improve your chances of getting paid better at your next company. 1) Ace the employer’s request for your salary requirement on its online application form. I address that topic in this recent article. 2) Negotiate the best package when offered the position – That's what we will talk about in this article. If the recruiter gives a range and the high end is acceptable, don't give your exact salary. Instead reply, "I'm looking at positions in that range." If they won't reveal the range and demand that you state your salary requirement, respond with your most recent total compensation, not just salary. Say something like, "My salary was A, my annual bonus was B and my employer’s contribution to my 401(k) was C, so all together, my compensation package was $(A+B+C)." 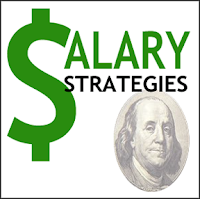 Be careful not to be too resistant about telling your salary history, so that you are not rejected for being evasive. Explain why you are underpaid. If you’re coming from a small or struggling company, state that your employer gave low annual increases or froze raises due to the economy. If you're coming from a low-paying business segment, say, "I'm sure you know I'm coming from a nonprofit where salaries are not in line with the private sector." Explain that while you're not looking to leave your job based solely on salary, you expect to be paid the fair market value when you make a move. Drive home that your current or most recent job is a very different position than the one for which you are applying (even though the skills needed are similar) and, therefore, the salary range should be different. Mention that while your position was satisfying, it didn't offer much in the way of compensation. Note that this sometimes happens when companies fail to keep up with standard salaries for long-term employees. Share a recent performance appraisal to make clear that your low salary wasn’t based upon a performance issue. Provide a rational explanation for why you seek a higher salary. If the company makes an offer at the low end of its range, realize this offer is likely a negotiation strategy, not a final number. Counter with a higher number, but realize that your response doesn’t have to be your final answer either. Stay calm and remember that employers don’t want to play their final cards on the table before you do because they know you don’t want to be offered a position at the low end of their range. Research the company before it makes you an offer. Visit www.glassdoor.com to find the compensation levels for specific jobs at the company. Negotiate in person with the decision maker whenever possible. It's not as easy for this person to dismiss your salary requirements in person as it is over the phone. Stand your ground and don’t twitch. Demonstrate that you are the best person to help the employer address challenges. Offer solutions and strategies at meetings and in follow-up e-mails. Appear confident (but not cocky), dynamic and busy. Let them know if you have competing offers or are conversing with other prospective employers. Don’t lie about your current salary. There's always the possibility that the new employer can confirm if the numbers you state are accurate. Have a perfect number in mind, but do NOT say it out loud … it could be lower than the new company would have paid. State what's most important to you (salary, vacation time, office setting, etc.) and what is a nice, but unnecessary perk. Let the employer know you may be open to enhanced benefits in other areas such as increased vacation time if the company cannot completely meet your salary expectations. Don’t take low-ball offers personally. Remember the potential employer offered you the job. Don’t accept the offer right away. Say that you are interested, but need time to discuss the decision with loved ones. Agree on a time when you will provide a response. Employers determine salaries for a position based on factors that may have nothing to do with you -- such as the scarcity of the skills/experience needed, the level of the position, the salary ranges within the geographic area, the current economic conditions in the market and industry, and the company’s culture and pay philosophy. The company simply may not be in the position to pay you what you think you are worth. Also realize that companies typically cannot pay you more than what is proportional to the pay ranges of its current employees. Being overpaid in their eyes may not be good for you as a new employee either. Your work will be overly scrutinized; expectations will be extremely high; and coworkers may resent you for being treated special. Be realistic. If you've done your homework, by all means, negotiate for better pay. But if you find you are asking for more than what is fair or what the company is willing to pay, bow out or adjust your expectations. Remember that salary negotiations can be stressful for you and the company. Your expectations may be radically different than what the employer expects, and the company has every right to offer what it thinks is reasonable. Stay calm, professional and open throughout the negotiations, lest you hurt the relationship before you even start the job. In a win-win salary negotiation, employer and employee leave satisfied … so learn to negotiate well. 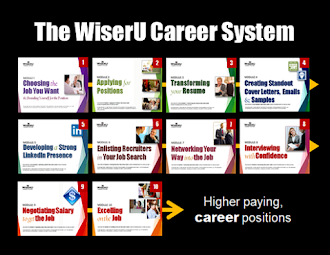 It can help you land the job that you want at the right salary! What comments or questions do you have about negotiating a salary? Share your thoughts via the Contact Us tab or on the LinkedIn discussion board that may have brought you to this blog.
" Consider the employer's perspective"
People definitely don't do this enough.